Near & Far Removals Ltd - Removals/Storage based in Ruddington, Nottinghamshire. Invoice history based on 314 reviews. 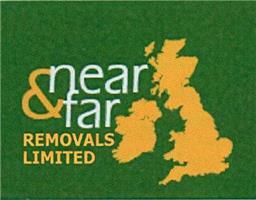 Near & Far are a family run removal company in Nottingham, specialists in all aspects of office and house removals. Established in 2003, we pride ourselves on our highly reputable and competitively priced service to all of our customers. We carry out small or large, near or far removals. We will be as flexible as you want us to be. Unlike other companies, your removal will be the only removal that your dedicated team will carry out that day. Therefore, our full attention will be with you throughout. Full or partial packing services can also be arranged with cartons and packing materials supplied. Upright pianos are no problem. Our service is not just for houses - flats, offices and other commercial premises can also be catered for. Insurance: We are fully covered should there be any mishaps. Storage: Should this service be required, please call us to discuss the details.